Beetroot powder offers a vibrant colour and earthy flavour to sweet and savoury dishes, smoothies and chocolate dishes. It can also be used as a natural food colouring imparting little or no flavour if used sparingly. Beetroot contains high levels of potassium, nitrates, magnesium and iron. 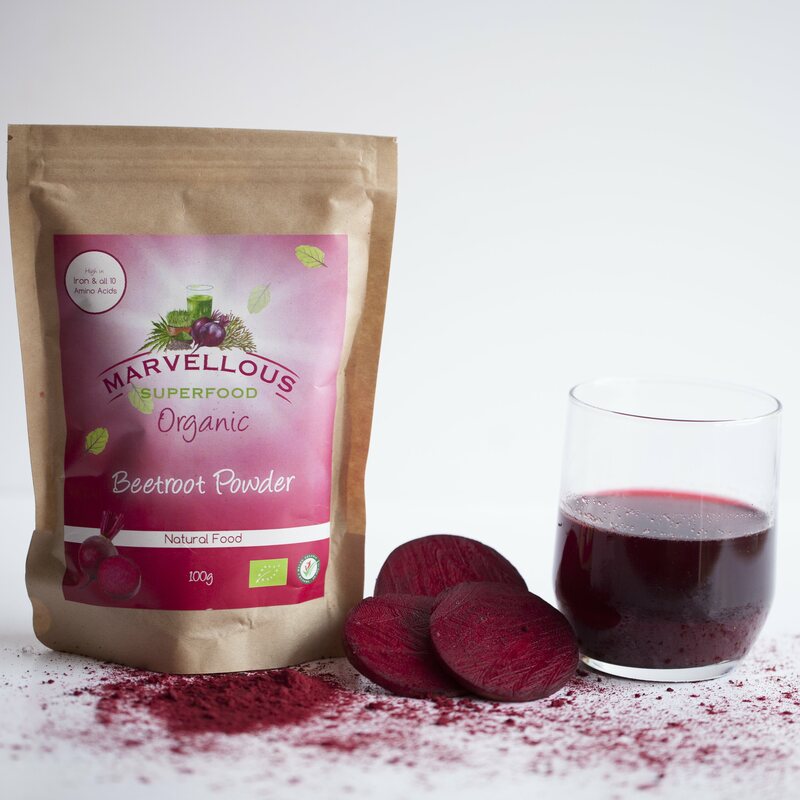 Clinical trials show that it helps normalise blood pressure and improve muscle function.The organic beetroot powder is prouduced in the optimum soil and production conditions in Germany. 112 grams of fresh beet is used to produce 1tbl of powder.